Although I grew up in a house with a fair number of vinyl records lying around, I belong to the compact disc generation. The first music album I ever bought was in CD format, and so were the countless others that followed over the years. That is, until fairly recently, when I finally got around to buying my own record player. I only started getting seriously involved with vinyl around 2008, after already having moved to rainy Amsterdam from my sunny hometown, Athens. It was not the change of climate, however, that did the trick. It was the city’s amazing vinyl market and the enchanting, vintage black discs with the cool artwork that kept catching my eye even though going back to vinyl in our digital age seemed to be a clearly retrogressive move, like reverting to agriculture from industrialization (which actually doesn’t sound that bad I have to confess). 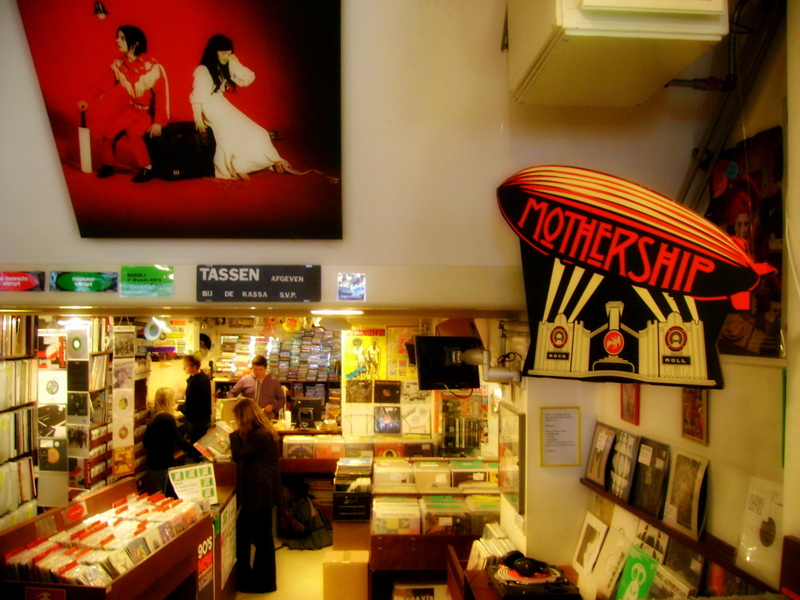 Getting to know Amsterdam’s record stores has been an ongoing adventure, and a most pleasurable one. I’m mostly talking about independent record stores, with their special charm and character, like the fictional Championship Vinyl in Nick Hornby’s High Fidelity. Fortunately, such stores are still amongst us, and record hunting around there as well as the city’s flea markets has been a favorite pastime ever since I got my record player (if you want to know more about the unique world of Amsterdam’s record stores, check out my survey about the top vinyl spots in town). The unique culture of indie record stores is celebrated through Record Store Day. Originally conceived in 2007, it is now celebrated the third Saturday every April (it was officially kicked off by Metallica at Rasputin Music in San Francisco on April 19, 2008). On Record Store Day (April 20 this year) the participating independently-owned record stores organize various events and festivities, while special vinyl/CD releases and live performances from hundreds of artists also take place (you can check here to see if there is a participating store near you). This entry was posted in Various and tagged Amsterdam, High Fidelity, Hornby, Metallica, music, Paul McCartney, record, store, vinyl on April 16, 2013 by The Muser.